LOTS of LAND...photos coming soon! $160,000 Marshall 2.47 acres, wooded, 4 Hawkes Nest La. 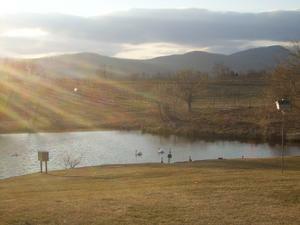 $895,000 50 acres open rolling meadows with large pond and convenient to I-66, Marshall, Orlean, etc. Lot located on OLINGER, MARSHALL, VA 20115 Tax Map ID 6955-07-5833 MLS # FQ 6317225. Very special property with pretty views on dead end paved road. HORSE BOARD at Hope Springs Farm from $150/mo. HOPE SPRINGS FARM is offering horse board, full care turnout (live out 24/7 except in worst weather; run ins/stall for each horse) must be GELDING for full care. OR: Self Care from $175 per horse. Separate boarder barn with stalls, water, electric, & tack/feed room. MOST IMPORTANT: LUSH pasture, board fenced field, no hay needed except Dec-Feb. Spring fed pond, good run in, manicured field mowed regularly. We had a house fire and the main house at Hope Springs burned to the ground Sept. 14. We are working out a settlement with the insurance company. Click on photos page to see what it used to look like. HORSE BOARD...field/stall/self care two barns, lush, board fenced turnout with spring fed ponds. Call for details. From $150/mo. per horse, call Julie at 540/364-9480 for details. Location: Great area of large farms just a stone's throw from Orlean, where you can eat weekends at the firehouse, dine at the restaurant, or ride your horse to the P.O. or country store. Nine miles from I-66 Marshall and 10 miles west of Warrenton. 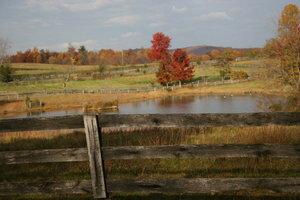 Three ponds on property, working horse farm, wildlife and deer abound. About 22 acres open, board fenced, balance (rear of property) in woods, with 400+ and 250+ ac. farms on back side and rear boundaries. WATERFRONT! Sweeping views of Dividing Creek and the Chesapeake Bay from this lovely frame home, water views from every room including adorable studio apartment that rents for $600/mo. 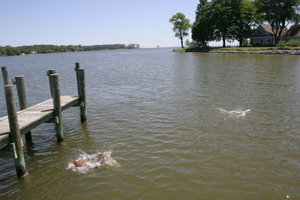 There is also a dock with water, electric and 8' MLW that can accommodate large boats, a detached 2 car garage with floored attic and shop and beautiful landscaping with flowering trees and perennials offering privacy in a spectacular waterfront location just 5 minutes to the town of Kilmarnock, in Northumberland County, VA. This lovely home, which was my Mother's for 30 years, is available immediately. Perfect for those who love boating, crabbing, fishing, waterfowl hunting (you won't believe the duck varieties!) and just relaxing on the water. My mother passed away in Dec. of 2014 and as much as we love the home, the family needs to sell it so it's priced for a fast sale. Call (540)364-9480 for details. Breathtaking sunsets out your living room door from this 2BR 2BA condo available for rent in Naples, Fla. Elegant older building on spacious grounds that include a heated pool and a private, white sandy beach. This is one of very few units left that can still be rented as the association has been phasing out rentals. One-month minimum lease required. The Carriage Club is located right in Naples, walkin distance to the Naples Beach Club & Golf Coure. 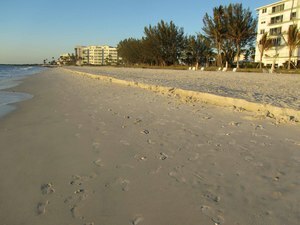 Unit has 2BR, 2BA, updated kitchen, tile floors and is fully furnished including linens, beach towels & chairs and kitchen. Covered parking, secured premises, very safe area located on Gulf Shore Blvd. Need a rental now? Call Julie for details (540)364-9480. These properties are all rented as of January 1, 2015 but, we may know of others. Can't find what you want? Call and discuss your needs, from large estate properties to small weekend cottages. I may know of things before they are officially available so you can have a "heads up" before something goes on the market. Simply elegant Southern style stucco country home sits high on a knoll in the center of 50 magnificent acres with UNBELIEVABLY gorgeous views. This 4 bedroom, 4.5 bath home is much larger inside than it appears. Spacious open one-level floor plan with soaring 12 foot ceilings in living areas and plenty of windows and dooors to take in the views. Simplicity of one level living but also includes finished walkout lower level. Best Fauquier County location in the Blue Ridge Mountains near historic Leeds Church in the Markham/Hume area. Built in 1993 (original owners) and meticulously maintained and updated and VERY private--you cannot see any neighbors. 50 rolling acres of meadows and woods including a pond and a 3-stall stable just 4 miles south of I-66 in the prettiest part of NW Fauquier County. Bright, spacious airy rooms with soaring 12 foot ceilings in living areas (10' in rest of home) and commanding mountain views from every room. One level living with finished walk out basement and veranda out front with two ceiling fans overlooking it all. Main level has a gourmet kitchen with tile floor, double ovens, downdraft cooktop; spacious dining room, living room with fireplace, office, library, master suite with his and her walk in closets and deluxe bath with jacuzzi tub and separate shower. You have to see the views from the master bedroom--they are breathtaking! Two other bedrooms on another wing on this level each have their own bath and there is a powder room for guests. The lower level has a bedroom and office/rec room/media room, additional full bath and storage area. Attached oversized 2-car garage. Stable has 3 stalls, run in overhang, tack room and ample hay storage and board fencing. All very private, excellent condition and sells with 2-10 Homebuyers Warranty.